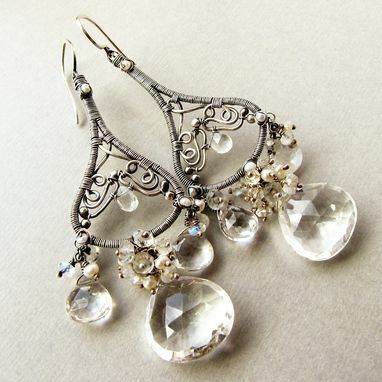 Graceful and elegant, traditional yet bold, these earrings are a dream to wear. 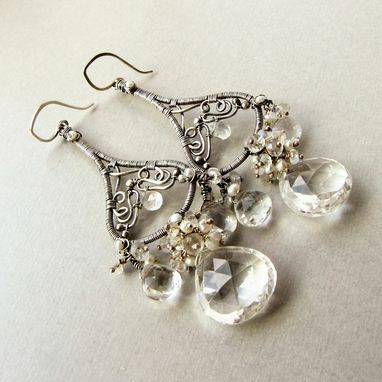 Perfect for brides or someone who loves a Victorian formal style. They are completely handmade from sterling silver with accents of tiny white freshwater seed pearls, and glowing Rainbow Moonstone gemstones in the center of the earrings. Along the bottom are two smaller clear, rock Quartz briolettes with three gemstones of Rainbow Moonstone, white Topaz, and ivory freshwater pearls. 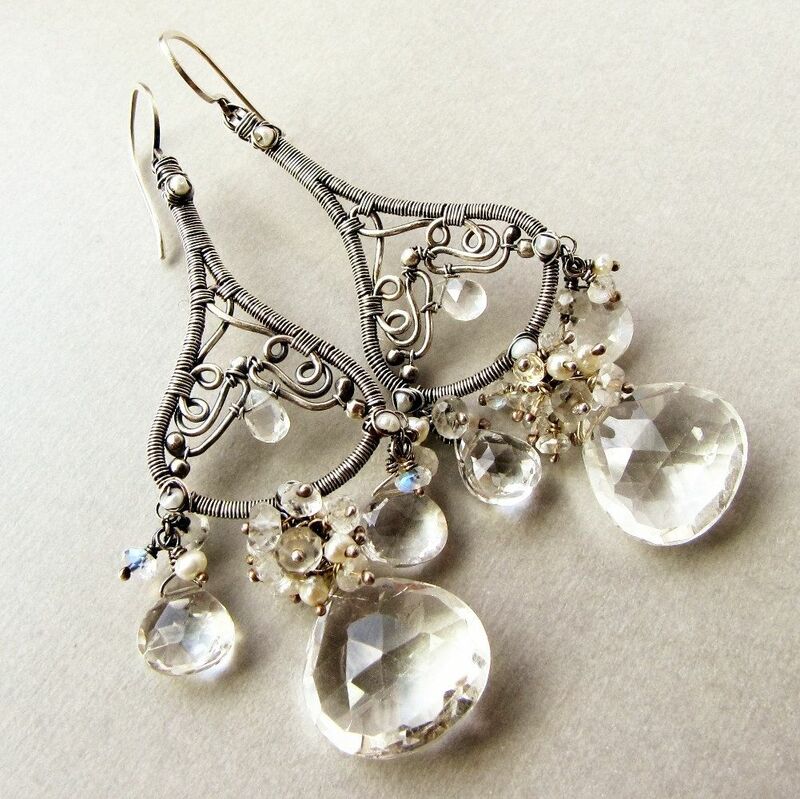 The bottom center of the earrings showcases large, stunningly clear and sparkling rock Quartz briolettes. The plump and luxurious gems are topped with a thick cluster of gemstones, Rainbow Moonstone, white Topaz, and freshwater pearls. 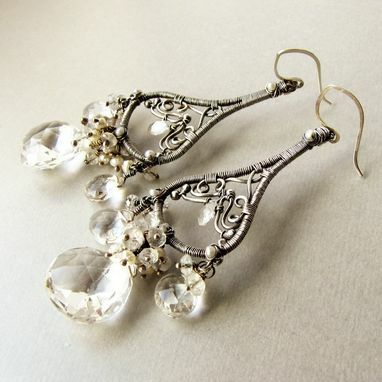 The total length is almost 3 inches (7.5 cm) from the top of the sterling silver ear hooks to the bottom of the large Quartz briolettes.